Starting this week in comic book stores across the country, DC began a line-wide event publishing a series of one shots in the places of every single monthly title. Instead of the books featuring our favorite members of the Justice League and the other heroes across the DC Universe, every comic book put out by Superman's house are going to be a bit more... evil. 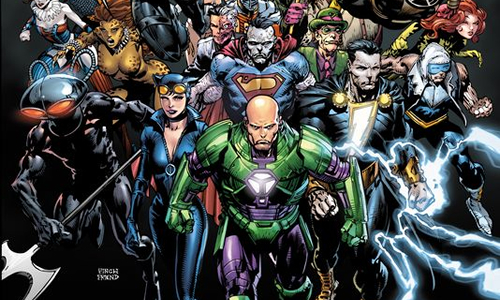 Pushed forward by the first major crossover event of the New 52 initiative called Forever Evil (the first issue of which is out in comic shops now), DC has decided to make September 2013 the "villain's month." In place of books like Batman and Detective Comics are one shots focusing on the Joker and Ra's al Ghul, while Superman's titles are being invaded by the likes of General Zod and Bizarro. 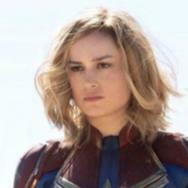 In honor of DC's interesting choice, this week's Comics on Film is going to focus on comic book villains who could stand to be done proper justice on the big screen. One of these is a villain that hasn't appeared at all in a movie, while the others are ones that may have appeared, but are so far removed from what makes comic book fans love them that they could likely stand a do over. Marvel's infamous "destroyer of worlds" has appeared in a major motion picture once, but many fans felt that the iteration found in Fantastic Four: Rise of the Silver Surfer didn't exactly do justice to the cosmic devourer of entire civilizations. 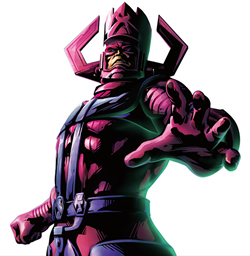 While an attempt was made in Rise to give some credence to the threat that Galactus normally represents, 20th Century Fox handed down an odd directive to make the villain "discreet," likely because his appearance is relatively odd. In any event, though, the digital wizards at Weta were able to work in some aesthetic hints to Galactus' normal appearance, with a shadow cast in the shape of the character's instantly identifiable helmet. In the end, though, Rise only gave us a giant planet-eating cloud, which may remind some in no small way of the planet killer from the original Star Trek episode "The Doomsday Machine." With a Fantastic Four reboot on the way courtesy of a 20th Century Fox that seems to see more value in its Marvel franchises, a great opportunity exists to reintroduce Galactus in a way that's far more recognizable and much more satisfying. Presenting Galactus as a sentient humanoid villain has the potential to give rise to a much more fulfilling conflict between he and the FF and give proper service to his first mind-blowing appearances in the early years of the Marvel Universe. 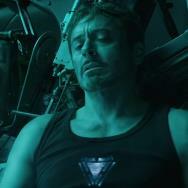 With the Internet abuzz about a cosmic villain like Thanos at the end of The Avengers, it doesn't take too much imagination to see the storytelling value in a villain on his level. And let's face it, on that level, there aren't many that have managed to stand the test of time quite like him. For some definitive Galactus, check out Fantastic Four #48-50. While Superman is off to a good cinematic restart after the commercial success of Man of Steel, he has a long way to go toward getting more than a handful of his adversaries off of the comics page and onto the silver screen. The first of these should definitely be the cold, calculating Coluan, Brainiac. While his early stories characterized him as little more than an "evil alien," recent portrayals of Brainiac have developed him as a collector of cultures, to a degree. He travels to a planet, collects all of its knowledge (in the form of cultural souvenirs, as well as entire cities and several individuals), then destroys the planet to increase the value of his knowledge. 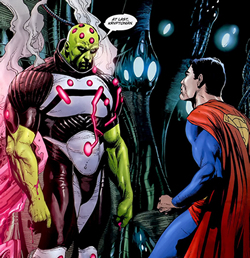 Some adaptations featuring Brainiac, like episodes of Smallville and Superman: The Animated Series, elected to make Brainiac an artificial intelligence from Superman's homeworld of Krypton, but in a weird way he may work better as an alien from a totally alien planet who had nothing to do with Superman before. 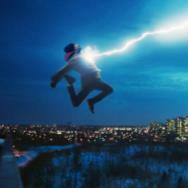 It makes his presence a bit more baffling, perhaps more shocking, and maybe even more formidable. Whenever the next solo Superman film comes out, I sincerely hope that the one standing across from the Man of Steel is Brainiac. For the most definitive reinvigoration of the character over the last decade, check out Geoff Johns and Gary Frank's awesome graphic novel Superman: Brainiac. 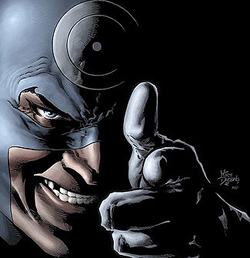 With a lot of apparent renewed interest surrounding 2003's Daredevil and its completely irrelevant nonimpact on Ben Affleck's ability to portray Batman, very little conversation seems to come up about Colin Farrell's performance as the ol' hornhead's arguably greatest enemy: Bullseye. Some of the best stories featuring Bullseye in recent years have tended to go in the opposite direction of the completely off-the-wall psychopath from the film; a bit more muted but forceful figure of pure homicidal mania. With Daredevil back in the hands of Marvel Studios, it stands to reason that whenever we get the next Daredevil film, it'll go through the same kinds of standards toward the source material that all of the Avengers films have. Some recommended takes on Bullseye from me include the character standing in as a villainous version of Hawkeye in Dark Avengers Vol. 1: Assemble, and a truly twisted mature readers iteration in Punishermax: Bullseye. Anyone who's been a Batman fan for any significant length of time would likely agree the Riddler's last cinematic appearance leaves a lot to be desired. While Jim Carrey's turn in 1995's Batman Forever was undoubtedly memorable, it's very clear that much of Riddler's narrative potential has a long way to go before being fully tapped on the big screen. Modern and definitive Riddler stories center on a narcissistic egomaniac obsessively creating always intricate and sometimes sadistic brainteasers playing with peoples' lives, so long as he gets himself closer to outwitting the one man who consistently proves to be equal parts brain and brawn: the Batman. 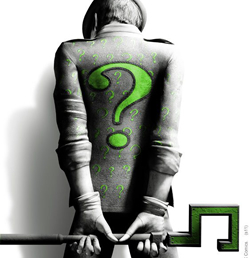 While the high-pitched cackling of Frank Gorshin and the frenetic grenade skipping of Jim Carrey have etched their places in the character's history, the modern iterations of the Riddler are inherently strong in giving Batman a true mental test as both a detective and as a raw thinker. The Dark Knight trilogy went a long way in giving Batman both physical and mental challenges to overcome, no greater personification of mental conflict exists in Gotham City than the Riddler. For some compelling modern Riddler stories, I recommend Batman: Hush, Batman: Detective, as well as his appearances in both Batman: Arkham Asylum and Batman: Arkham City. Arkham City actually gives you the chance to solve some of Riddler's more creative and sadistic contraptions in the game, and after playing them you'll likely see how they can help inspire some great movie moments. It's very difficult to convince people that Luthor needs another chance on the silver screen, since he's been overutilized by the Superman film franchise. The truth of the matter, though, is that the characterization of Luthor in the Christopher Reeve films and in Superman Returns is a far cry from the brilliant, conniving, power hungry and sadistic corporate mogul that is the modern Lex Luthor. While I'm a fan of both Gene Hackman and especially of Kevin Spacey, their portrayals of Lex Luthor represent a missed opportunity. My favorite characterization of Luthor is a man that built a fortune out of murdering his own father as a young man, and using that as capital combined with his apparent brilliance to create a vast corporate empire in the city of Metropolis. Through sweeping infrastructure and job creation to help fund his more nefarious behaviors, Luthor is seen by the public as a saint that helped build Metropolis. Privately, Luthor enjoyed the fact that people looked to him for salvation. Then, with the arrival of Superman, the people started looking away from him and started looking up in the sky. When Luthor looks at Superman, he feels many things: jealousy at no longer being the city's hero, fear the god in the red cape who could destroy us all with a glance, hatred at the alien trash who doesn't even have to try to be powerful, and obsession. Luthor could cure all of the world's problems, or so he tells himself. Before he can do that, though, all he has to do is kill Superman. Only then can the world be cured of its ailments: when he allows it. Not to mention the fact that Luthor, in a weird way, is a symbol of the triumph of human ingenuity: out of all of the powerful creatures and fierce villains Superman has faced, his arch nemesis is a self-made human. That is the Lex Luthor I want to see. While Michael Rosenbaum's and Clancy Brown's performances on Smallville and Superman: The Animated Series have come close, we've never really seen that obsession and jealousy make a sufficient jump into the motion picture. 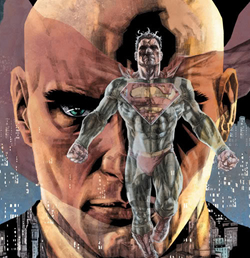 For some great comics stories featuring the definitive Lex Luthor, I'd check out both Superman: Birthright and a graphic novel simply called Luthor. That does it for this week, but which villain do YOU think needs to be done proper justice in a comic book film? Be sure to sound off in the comments below, and be back here next week for a brand new edition of Comics on Film! Chris Clow is a geek. He is a comic book expert and retailer, and freelance contributor to GeekNation.com, The Huffington Post, Batman-On-Film.com and ModernMythMedia.com. You can find his weekly piece Comics on Film every Wednesday right here at Movies.com. Check out his blog and follow along on Twitter @ChrisClow.